The Black Denim Kilt With Cargo Pockets is made out of a very durable material that can withstand under any circumstances. 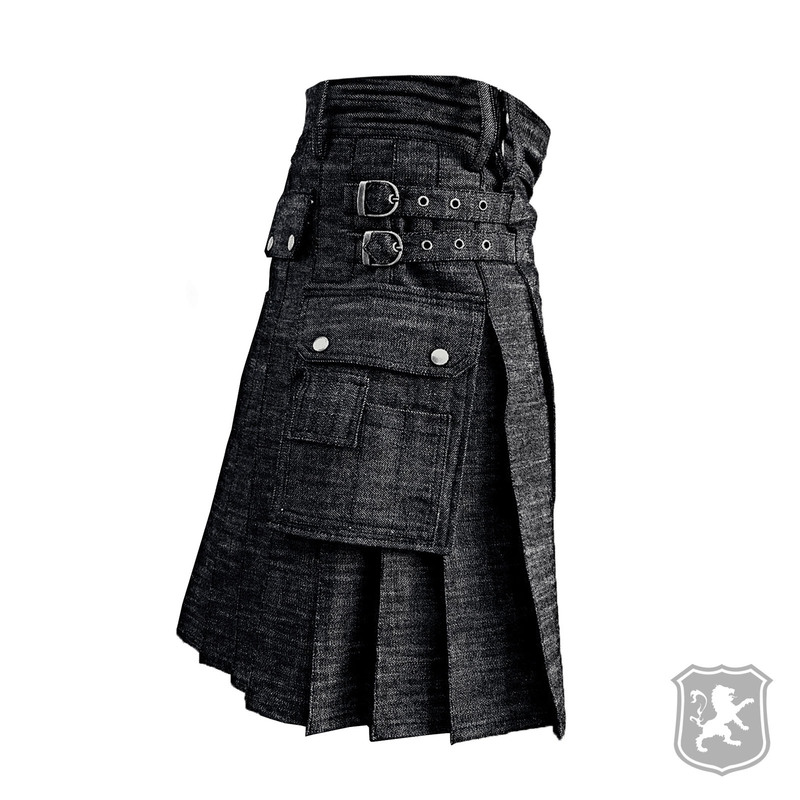 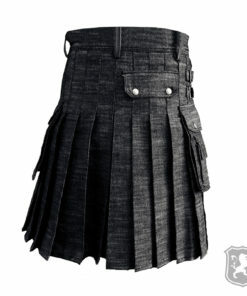 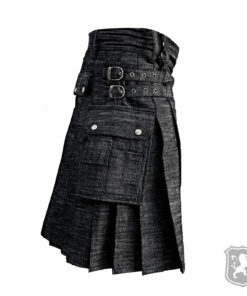 We’ve used a denim material on that kilt which looks really amazing. 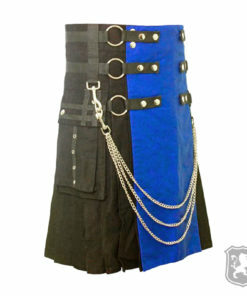 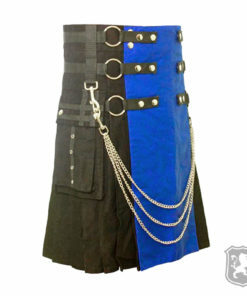 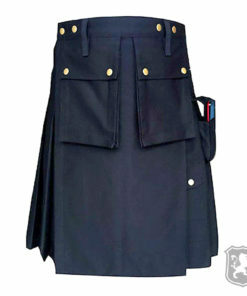 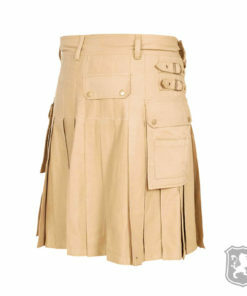 It also has two flap pockets and buckles for adjusting the kilt properly. 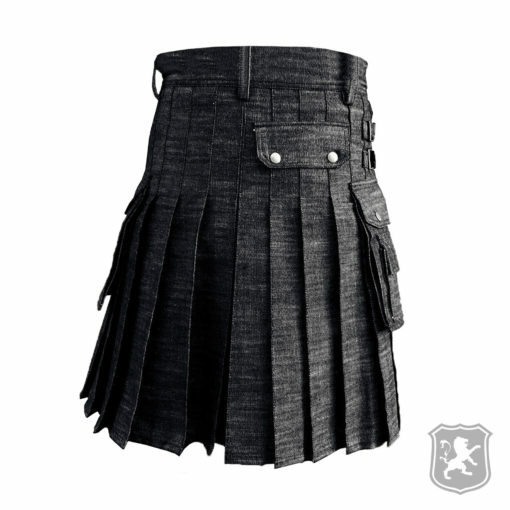 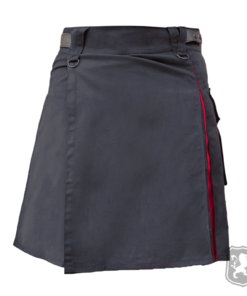 On the front of the kilt you will see that there’s not much decoration going on but just a plain apron made out of denim fabric which looks really amazing and great. 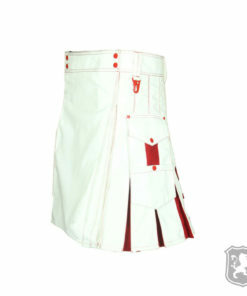 On the side, it has two large flap pockets in which you can easily store all of your things. 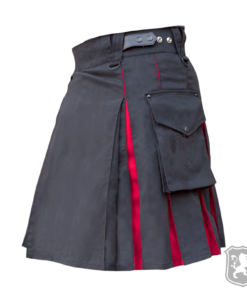 The pockets have decorative buttons on them which are totally rust-free. 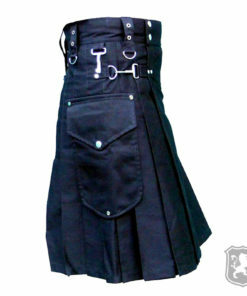 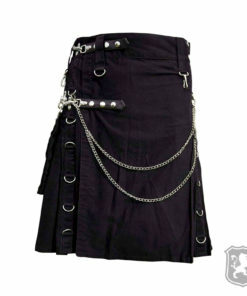 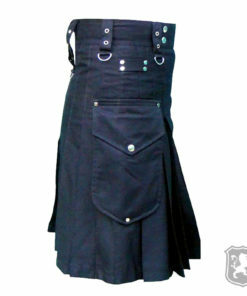 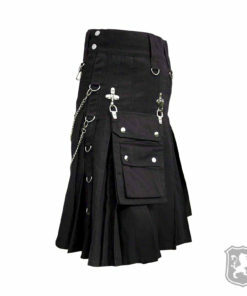 It also has two denim straps that allows you to adjust your kilt properly. 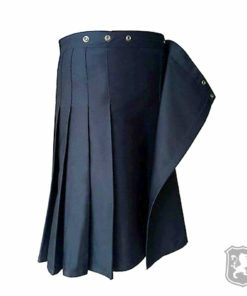 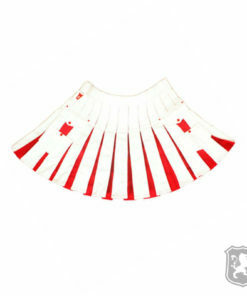 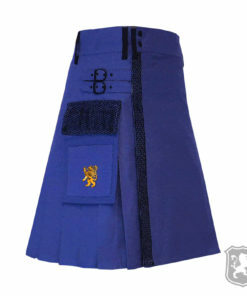 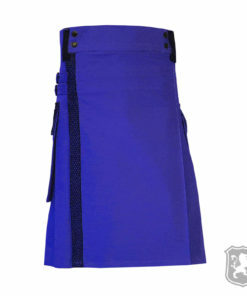 The pleats are sewn deep to make the kilt comfortable and to make it look amazing and stylish.